How to Erase Your Old iPhone For Sale? What's "Erase All Content & Settings"
Purchased a new iPhone XS and want to sell your old iPhone? Preparing your old iPhone for sale here means erasing all your private data permanently to prevent someone from accessing and using it. Mere deleting files from your iPhone will not completely wipe the data off the device. With the help of a software, someone can easily retrieve the deleted data and use it illegally. Therefore, you need a powerful tool that will permanently erase the files from your device. In this article, we are going to show how to permanently erase your iPhone and get it ready for sale. 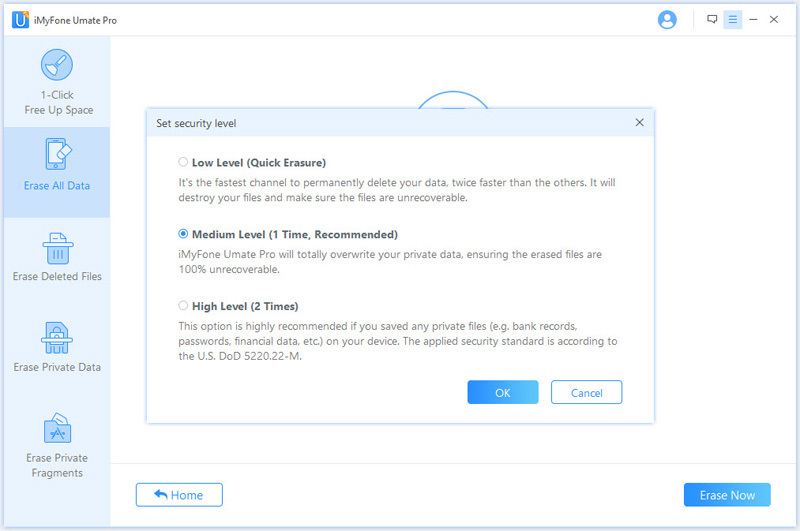 iMyFone Umate Pro is a software program designed to help iOS users to permanently erase their iDevices and secure their private data. This software tool can remove original files from your device and completely erase deleted files. This will ensure that there are no private files in your old iPhone before you can sell it. Umate Pro comes with an easy to use interface and is very effective. With this tool, you do not have to worry about your personal files getting into the wrong hands. Umate Pro allows you to completely erase data files on iPhone, iPad or iPod Touch. Once erased, those files are unrecoverable and no software can retrieve them. 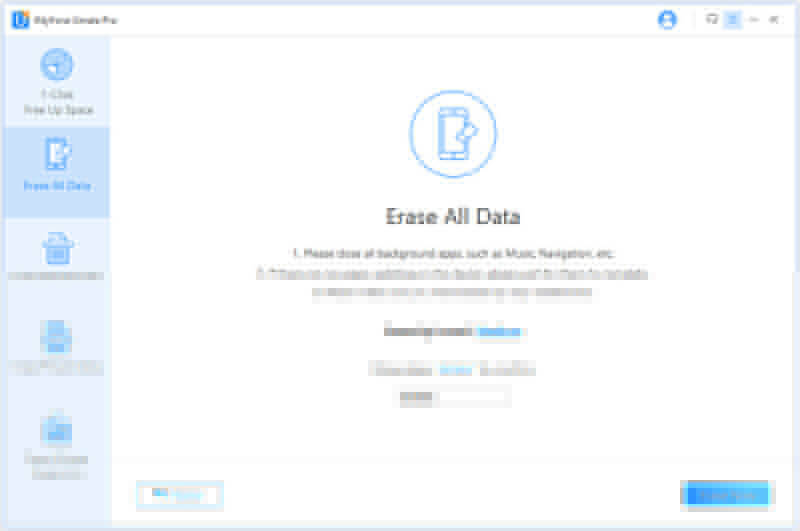 With this tool, you can erase all types of data including videos, contacts, call history, safari history, text messages and messages from social media accounts as well as any other data you may want to erase from your device. Umate Pro prevents deleted personal data to be recovered again by erasing the deleted data permanently. Umate Pro erases 3rd-party apps fragments including WeChat, WhatsApp, Kik, Viber, Line etc. Download, install and launch Umate Pro on your computer. Once the program is open, connect your iPhone to the computer using a compatible USB cable. If this is the first time you are connecting your device to the computer, you will have to trust the computer first. Choose the erase mode. Once your device successfully connects to the computer, you have to choose the erase mode. Click on Erase All Data tab and then click on the Erase button. A pop-up window will appear and you will be required to manually type “delete” in the box provided. Select the Security Level. After manually typing “delete” in the box provided, you can change the security level. You should, however, carefully read the security level settings before making the changes. Medium security level is recommended. Start to erase. After selecting the security level and typing ‘delete’ in the box provided, you can click on the Erase Now button. This will permanently erase all data files on your iPhone. 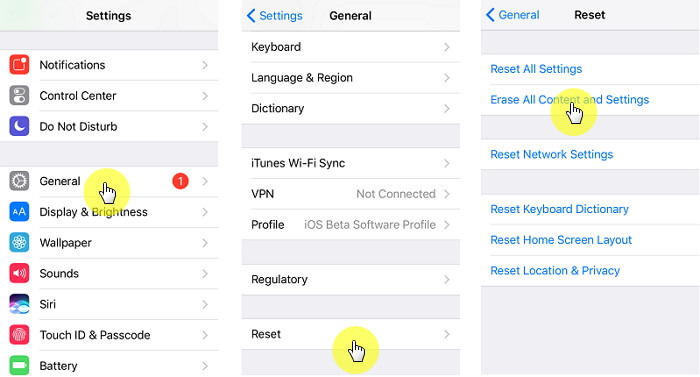 The ordinary method of erasing an iPhone is through the Settings app. After erasing the files, you will not be able to see them on your device. However, with a software tool, all the deleted files can be retrieved. In other words, they can be recovered. Launch the Settings app on your device. Click on Erase All Content and Settings option. This will erase all content and settings from your device. However, the contents are not completely wiped from your iPhone. If you happen to sell your device without completely erasing it, someone can recover the data and use it to either scam you or use your personal information unlawfully. Cleaning or erasing your old iPhone for sale is a sure way of ensuring that all your personal data does not get into the wrong hands. By using Umate Pro, you will secure your personal data and prevent any other person from accessing it. 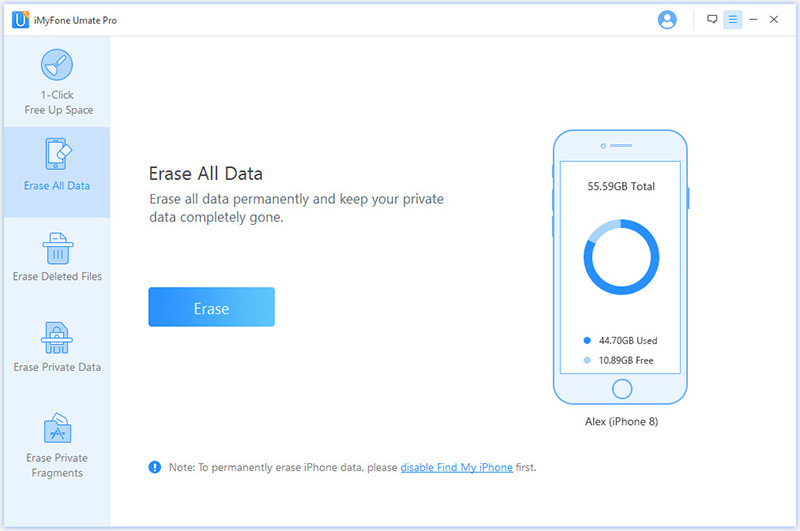 Umate Pro even lets you to permanently erase deleted data, messages, third-party apps, videos and pictures and over 10 types of data. 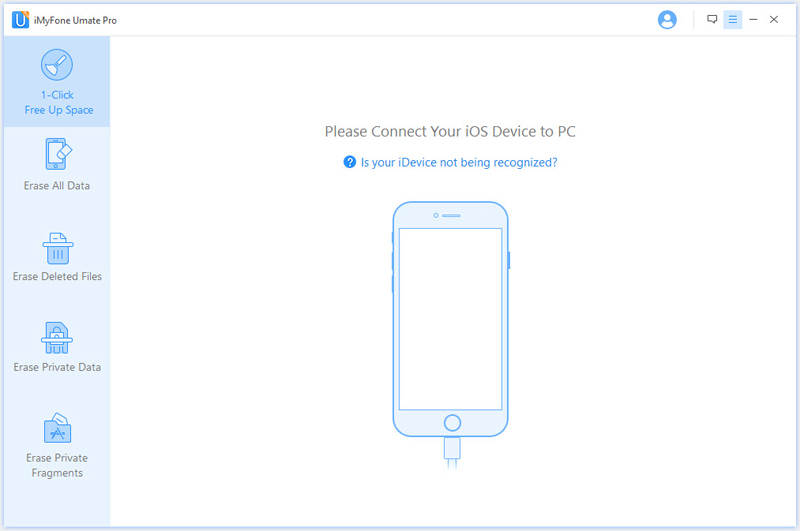 This tool is compatible with the earlier iOS versions as well as the latest iDevice models. It is easy to use, convenient, fast and above all very reliable. Have a free trial now!